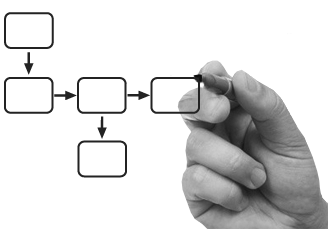 All organizations conduct their work by performing business processes. These processes can be internal-facing processes (human resource, accounting, OMB mandated processes, etc.) or they can be external-facing processes (customer service, marketing, etc.). It is critical to an organization’s success that both types of processes are performed in the most effective and efficient manner. When the processes are not being performed in an optimal manner an organization may want to improve the process through business process reengineering or business process redesign. The Kerr Company also understands the connection between business process and information technology, and helps customers understand that all major IT projects should address business process early, to gather the functional requirements for the To-Be business processes. Further, as part of system implementation, staff will need to be trained on the new business processes and systems.